WIDE Bay's football fans could mark the region's newest club's first game with a historic home clash. 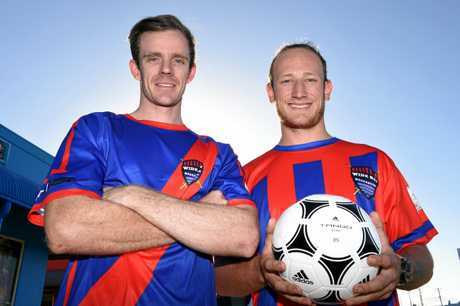 Football Queensland is yet to release a final draw for the revamped Queensland Premier League, but Wide Bay Buccaneers are tentatively scheduled to open their season at Bundaberg's Martens Oval on Saturday, February 3. The Buccaneers' first opponent is yet to be revealed, though senior men's coach Tim Lunnon said yesterday that he wasn't worried about which team attended the visitor's dressing room. His focus is making sure the new club, of which the main squad returned to training earlier this week, is ready to play. The Buccaneers will play only one pre-season trial game against an existing club, with games against Kawana on January 20. The junior age groups, from under-13s to U182s, are set to head to the Sunshine Coast, while the U20s and men will play at Bundaberg. "It is the only outside game we'll get (before the season), but we'll have a an in-house game as well," Lunnon said. Players and coaches will have a much better understanding of their club's chances after that game, though Lunnon won't bet the house - or anything - on the trial's result. Lunnon, and other Wide Bay Buccaneers' members, have previously said it would take time for the squad to not only jell on the field, but to deliver results. "The first few months will be the hardest for us," Lunnon said. 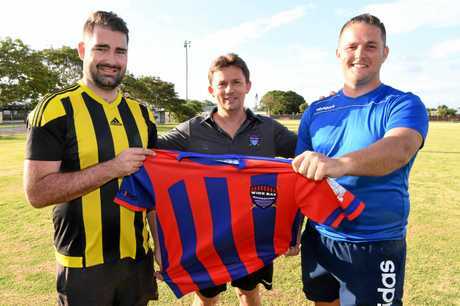 "It will be getting the players together and getting used to each other, as well as how to score and defend against other QPL teams," he said. "I'm confident we've got the guys to do it. "We'll do all the preparation we can do but there's going to be a few games where we're up against really strong teams." Lunnon said he had not targeted any "easy" clubs or fixtures in which he believes his squad can earn maximum points. His focus is on the other end of the table, where the likes of Peninsula Power and Rochedale Rovers are likely to reside. "I haven't thought about that yet, I'm looking at the top three or four teams," Lunnon said . "They will be tough, they've got good players on board. "It sounds cliche but the first round will give us a better understanding of where of where we stand, and their abilities. "You'll get to know how they play - until then we can only change things during the game. It's important for (Wide Bay's players) to understand their role and be able to trust their teammates in their roles."